Join us for an upscale culinary adventure to tickle your taste buds. When you arrive, nibble from a table of nice cheese, fruit and other accouterments. 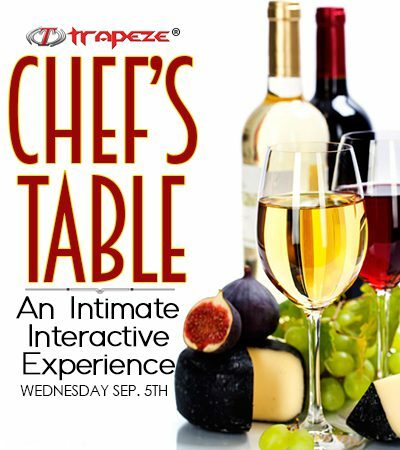 Then hear our Chef’s Selections from the Trapeze official maî·tre d’ Little Allen.